801.392.9400 – CALL US. WE CAN HELP. Same day service available. Get your paper to us by 3:00 pm Mountain Time; we can process it and send it out for service the same day. And Wasatch Constables serves over 95% of Utah. We are the fastest, easiest, most reliable way to serve your process. Save time and money with accurate results. We have same day service available! You pick how quickly you need your documents served. We resolve most process service within 10 days. Our sworn deputies are certified by Utah’s Peace Officer Standards and Training council. Civil law enforcement officers attest to the accuracy of your results. Our deputies log their attempts with iPhones creating a record of time, date, and GPS coordinates. We also note servee’s physical descriptions. We will meet or exceed the service level you select, or give you 150% of your money back. Guaranteed. Eric is upset because his papers still aren’t served. If you sympathize with Eric, we can help. What is a constable? How are they different than a sheriff or the police? 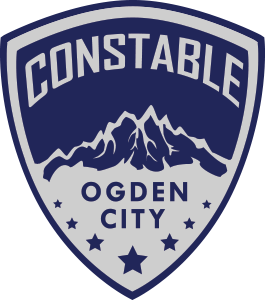 I’m Constable Rob Kolkman, and leader of Wasatch Constables. For over 30 years, I’ve worked in Utah law enforcement. I promise to treat you like our only customer because I understand how important process service is in the legal system and to your case. If you have any problems or questions, please call and ask for me. I will personally help you, I promise. We speak up for what we believe. We are open-minded, genuinely listen, and eagerly examine our strongest convictions with humility. We sometimes make mistakes, but are proud of our conduct. Our first duty is to satisfy our clients; we work tirelessly to earn and keep their trust. While we pay attention to coworkers and competitors, we obsess over customers. No one here ever says, “That’s not my problem.” We think long-term, never sacrificing the big picture for short term results. Our client’s problems are our problems. We solve problems. Our sworn deputies have access to driver license and motor vehicle registration information. Meaning, our deputies can verify identities and addresses in ways average process servers can’t. And if necessary, they also have the ability to detain and arrest. We are process service experts. Increasing your serve rate with our innovative techniques and ideas. Using technology to quickly locate litigants. Understanding your expectations and exceeding them. Our goal is to become your process server and increase your serve rate.